Beautiful sapphire & diamond ring. Product code: 1100 Categories: Sold Items, Sold Rings. This is an antique sapphire and diamond ring in the traditionjal cluster form, that can be worn on any finger, including being worn as an antique engagement ring. Hand made in 18ct yellow gold in the early Edwardian period of 1900, this ring is set with a very beautiful blue sapphire in the centre weighing 0.80cts, and surrounded by 11 diamonds each weighing approximately 0.08cts each giving it a wonderful sparkle day or night. Both the setting of the stones and the band is in wonderful condition and can easily be worn everyday. The detail under the ring shows the wonderful hand making and an antique ring like this is just perfect in all respects. 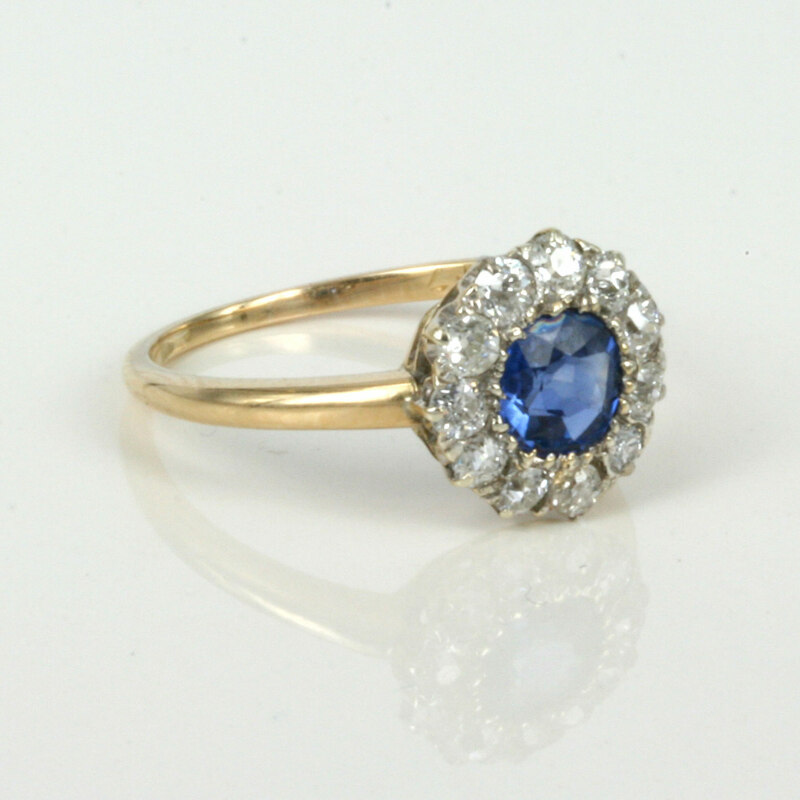 A great ealry Edwardian sapphire and diamond cluster ring.